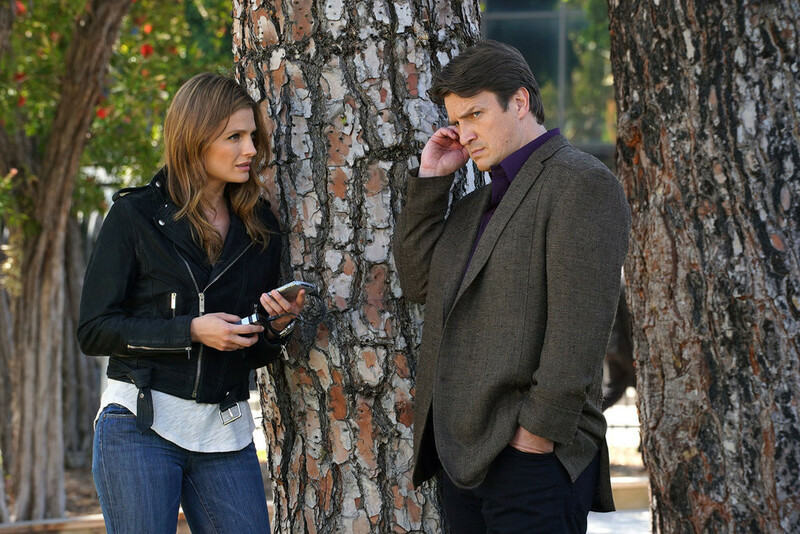 Coming up on the Castle Series Finale episode, "Crossfire," famed mystery writer turned private investigator Richard Castle (Nathan Fillion) and his wife, Captain Kate Beckett (Stana Katic), have spent all of Season 8 hunting a mysterious and deadly entity known as LokSat. In the Series Finale episode, they finally have one good lead, and it's time to end the deadly conspiracy, protect their family and friends, and get their lives back. But a shocking twist puts their case, and their lives, in serious jeopardy. Could Caskett's epic love story, so many years in the making, end in tragedy? Watch a sneak peek from the Castle Series Finale now for a preview of the challenges ahead for Castle, Beckett, and everyone they love, on the Series Finale. Castle Series Finale Sneak Peek: Castle & Beckett Say "I Love You"
RELATED: Watch the Castle Series Finale Promo now! Castle and Beckett prepare to take down LokSat, on the Series Finale episode, "Crossfire," airing MONDAY MAY 16 10|9c on ABC. Watch more Castle sneak peeks, and make sure to tune in MONDAY MAY 16 at 10|9c to watch the Castle Series Finale episode, "Crossfire," to find out what happens to our favorite mystery-solving couple. Want more Castle? Watch the Best of Richard Castle and the Best of Kate Beckett playlists for a look back at some of your favorite characters' most memorable scenes. News Read an Excerpt from Richard Castle's New Book, "Driving Heat"